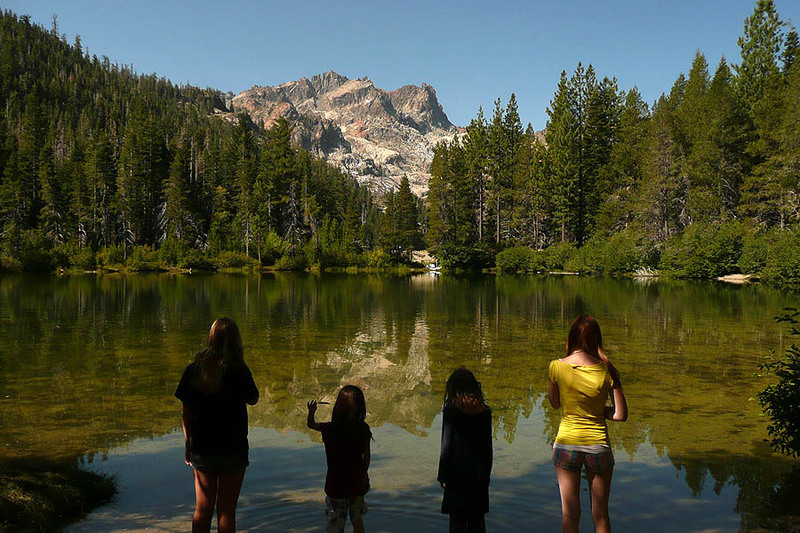 The Sierra Buttes stand tall above everything else in the lakes basin. 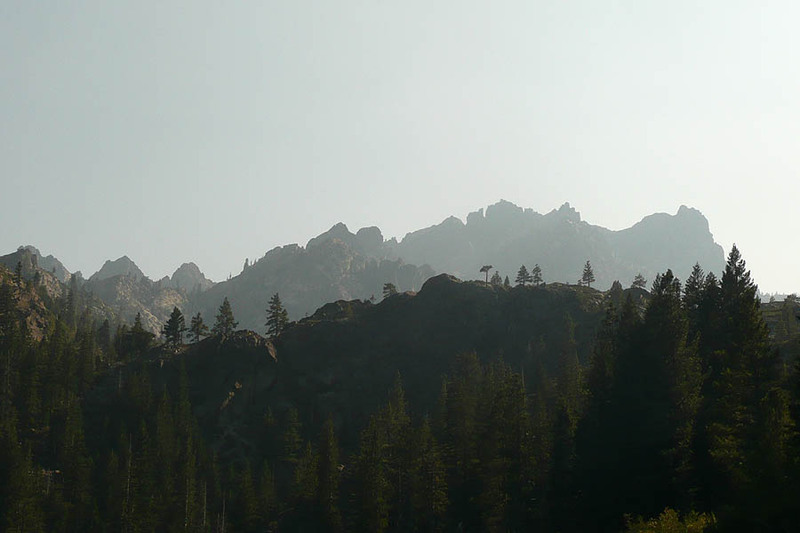 Numerous spires provide dramatic views from almost every direction. 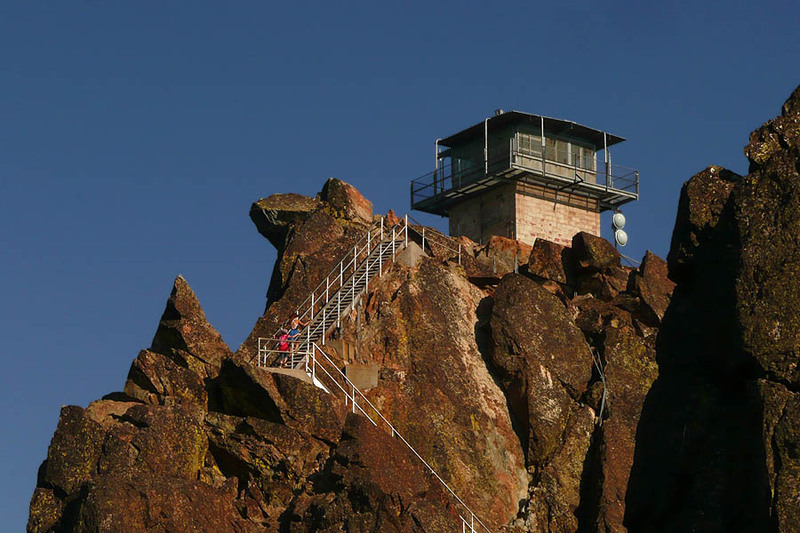 There are a number of ways to reach the peak, on which fire watch tower sits uncomfortably. You can actually get pretty close with a strong 4x4 with good clearance. 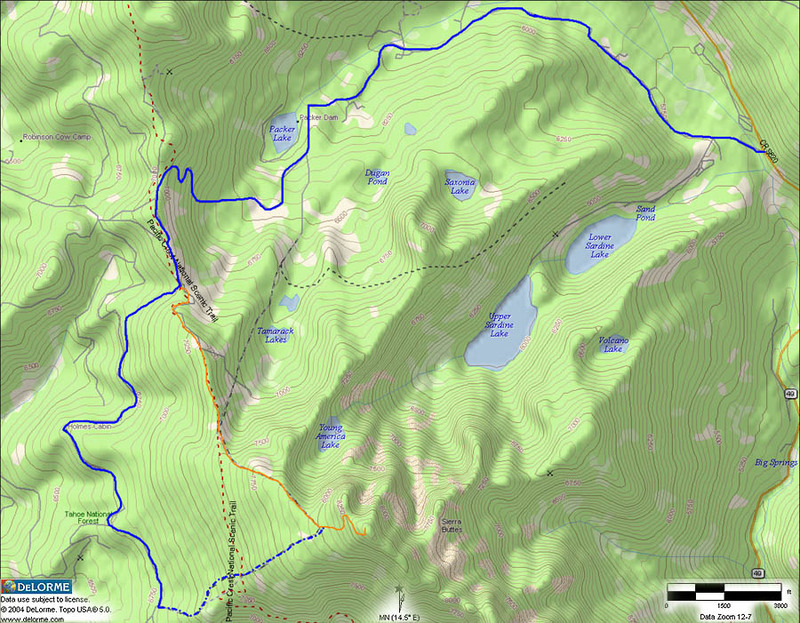 By far the better and more scenic route(s) start from different trailheads, the Sardine Lake, Tamarack lakes, and Packer Saddle Trailheads (start of the Downieville downhill). The 4x4 trail leaves the Packer Saddle Trailhead and then loses elevation on the Butcher Ranch Rd, which continues past the turnoff/pseudo trailhead all the way to Sierra City. 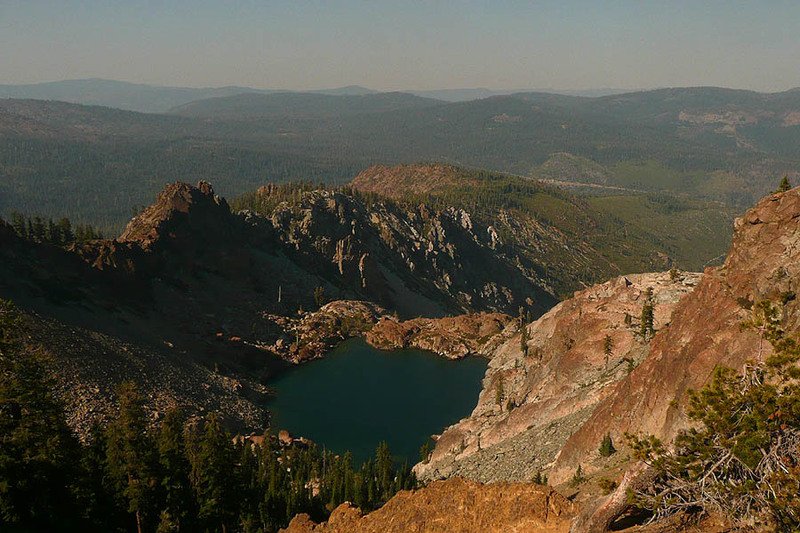 The Sardine Lake Trailhead leads you to the Tamarack Lakes trail, which eventually connects with the trail from Packer Saddle (Packer Saddle Trailhead is used for the Mountain Facts). 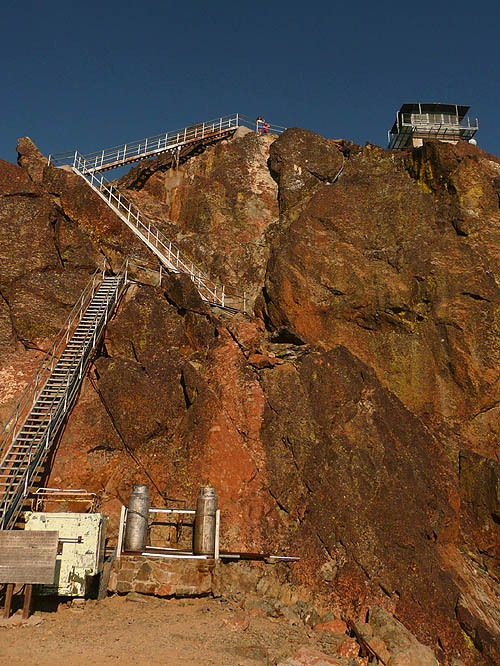 The trails are all well used and not particularly difficult, but there are some steep stairs at the very end which seem to scare some people more than others. 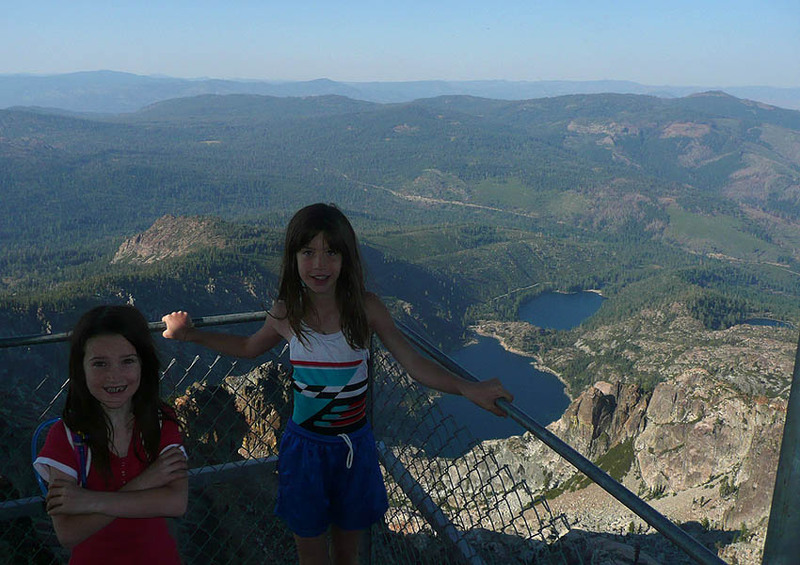 the area is also very popular as backcountry ski destination and I will be back soon to verify it. It IS on the To Do List.